As an expert safecracker, you are hired by the wealthy family of a recently deceased to search his mansion for his last will and testament. Duncan W. Adams was an avid safe collector and an 'eccentric,' to say the least. Adams has hidden the deed to his vast fortunes in one of 35 safes. You must crack them all using hints scattered throughout his extravagant mansion. The stakes are high. Use your expertise, wits, and puzzle solving skills to earn your paycheck! 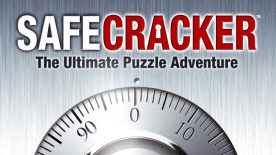 A challenging puzzle adventure game with 35 unique safes to crack. Many creative, clever, and truly unique puzzles. Decipher unexpected clues inside each safe that will help you open the others, ultimately leading you to the master safe. Multiple difficulty levels to challenge all types of puzzle enthusiasts. Explore a magnificent mansion with 30 lavish, intriguing, and precisely-detailed rooms.